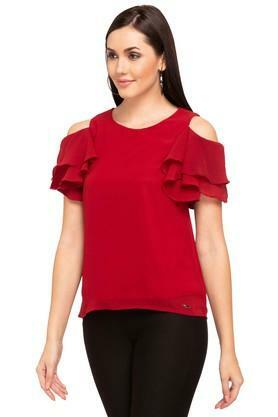 Show off your personal style with this top from Flaunt. 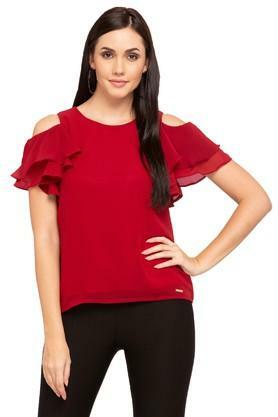 Crafted from a good quality fabric, this top comes in a perfect fit design and will be comfortable all day long. 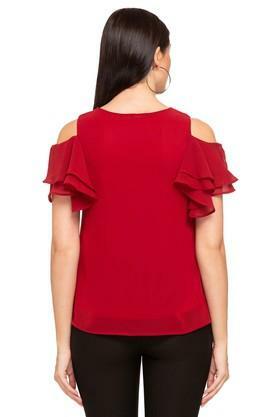 Featuring a round neck and solid pattern which renders it trendy enticement, while the cold shoulder sleeves further adds to the look. Add a touch of bohemian chic to your collection with this top. Team it with a pair of distressed jeans and matching strappy sandals for a stylish look.